This Wood Plaque is a great gift for a family getting a new home or a family moving and wanting to remember their old home. It's a great personalized gift that they'll treasure forever. It could be given an engagement gift for a couple to remember where they were engaged at. 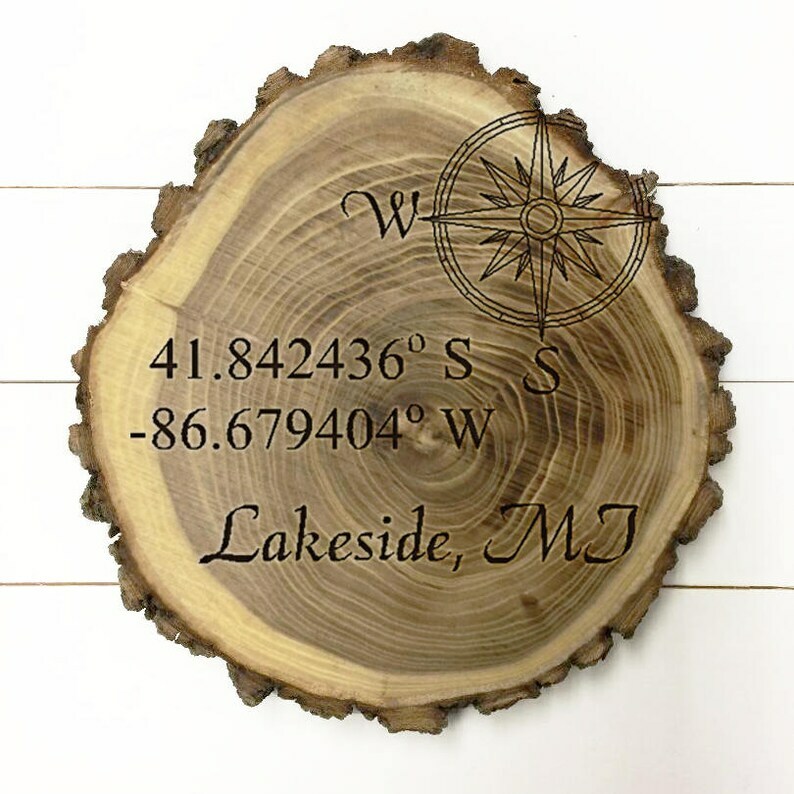 This wood plaque is all natural wood and the sizing is not exact nor are they all completely round. Sizing and shape vary per log. During checkout, please put in the "note" section the Longitude and Latitude Coordinates and the Town/City & State that you would like to be engraved.